Sanjam Sahi Gupta of Sitara Shipping Ltd has launched a new initiative in light of the International Maritime Organization’s 2019 World Maritime Day theme, ‘Empowering Women in the Maritime Community’. Currently, no data is available on women in maritime in India and the shipping industry is missing out on 50% of the potential talent pool. Access to this data would enable the industry to promote equality and create an environment in which women will want to work. 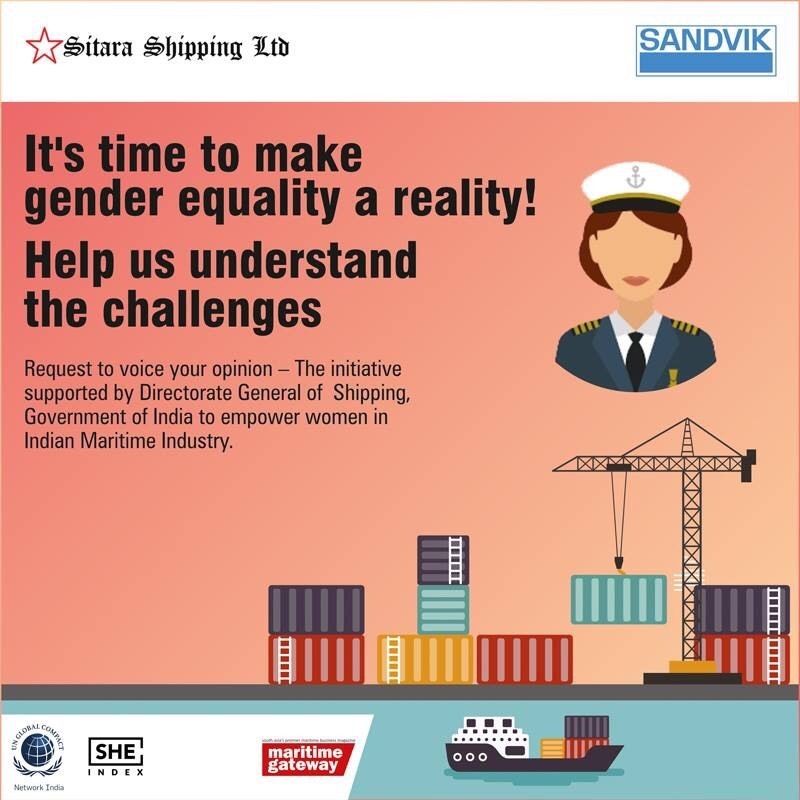 Sanjam Sahi Gupta of Sitara Shipping Ltd, which won an award at the Sandvik India Gender Awards in 2018, has launched three surveys to gather data from employers/owners, women seafarers and women in shore-based positions. The surveys aim to understand at what level women are employed in shipping, what roles have been assigned to them and what women-friendly policies have been put in place. The goal of the initiative, endorsed by the Directorate General of Shipping, India, is to ensure women and men have equal opportunities in the maritime sector.